This year, I’m hoping to facilitate hosting of all 3 service design jams here in Vancouver in conjunction with our Service Design Vancouver meetup group. It will be a full plate, but definitely a rewarding one! 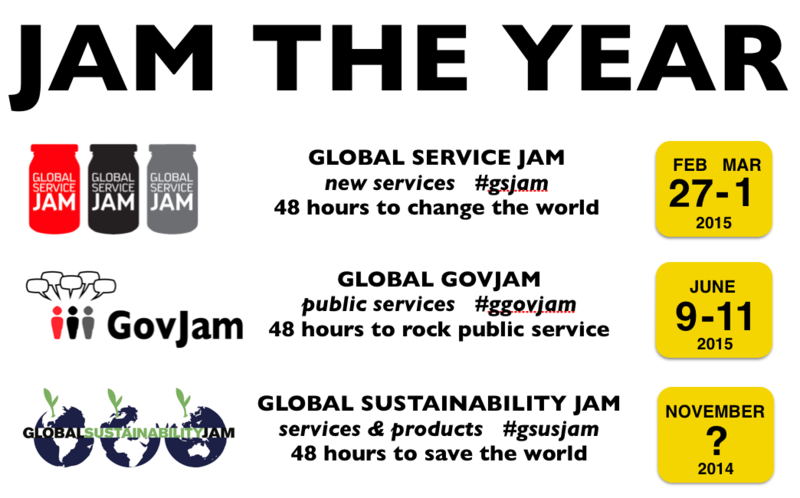 First official jam that will take place is the Global Service Jam, so stay posted for more news. So far just the dates have been announced as the GSJ HQ gears up with all the logistics of hosting this global event, and I’m working assembling a team to secure the appropriate space sponsor to allow hosting this over the weekend. If you should know of anyone that would be interested in sponsoring with space, refreshments, and/or snacks for the jams’ usage, please do let me know. Cheers!